The stairs of Gaztelugatxe Island make for an enchanting medieval path. 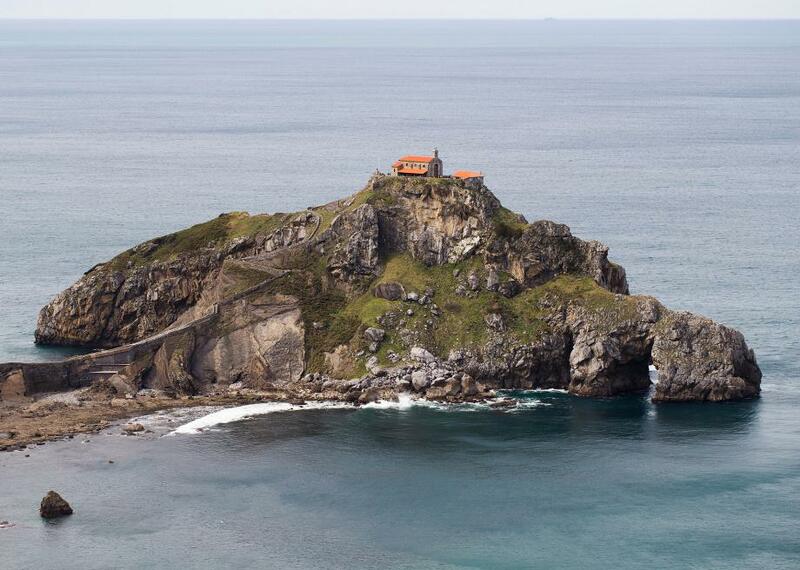 Sitting off the Basque coast of Spain, the tiny island of Gaztelugatxe would probably just be another tiny isle left off of maps and all but forgotten, were it not for the fantastical stone bridge and famed steps that connect its single hermitage to the mainland. Today, the crooked stone bridge that connects Gaztelugatxe to the shore looks more like something that one might see on Game of Thrones, but when it was originally built in the 11th century, the span was simply a sturdy lifeline to the religious hermitage erected atop the sea crag. The structure, along with its attendant stone path, seems to have been established by the Knights Templar. Down the centuries, the little church has been sacked, burned, and otherwise destroyed, but it was rebuilt each time. The church is still standing on the little rock, looking maybe more enticing than ever, its history simply adding to its charm. The ancient bridge and the hundreds of stairs leading up to the church are still a popular tourist attraction and can be accessed by a well-groomed modern path. Along the bridge are smaller staircases that lead down to reflecting spots at the edge of the water. The hermitage can also be visited, and legend says that after ascending the old staircase, visitors should make a wish. Whether you are interested in ancient construction or churches at all doesn’t really matter, as this spot can just as easily be appreciated for its uncanny resemblance to a location you might use in a Dungeons & Dragons game.